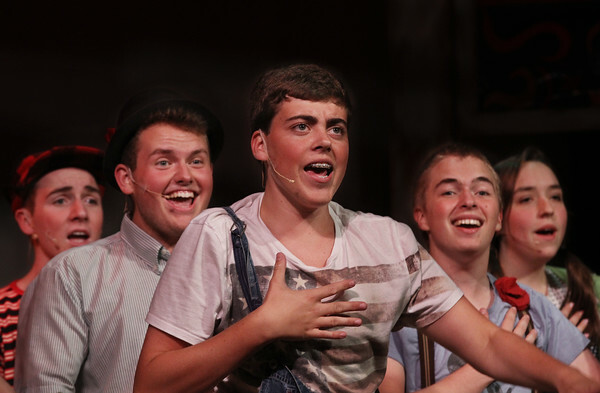 Sophomore Robbie Welcome, center, sings "We Beseech Thee" during a dress rehearsal Thursday for the musical "Godspell" at Rockport High School. From left are juniors Jack Reilly and Paul Zopatti, Welcome, sophomore Miles Bryan and freshman Savannah Cook. The play opened Friday evening and will continue Saturday at 7 p.m. and Sunday at 2 p.m. in the school auditorium. Tickets are $10 for adults and $8 for students and seniors.